I spoke in our State of The Region Video, about all the great things that occurred in the Heartland in the last year... I found myself PROUD to share that with you, and I 'hope' you are proud to be a part of BNI Heartland - Changing The Way The Heartland Does Business!!!. Also, BNI University has now been released... wait, have you been asking for this? I think the answer is yes, but maybe not the same yes. 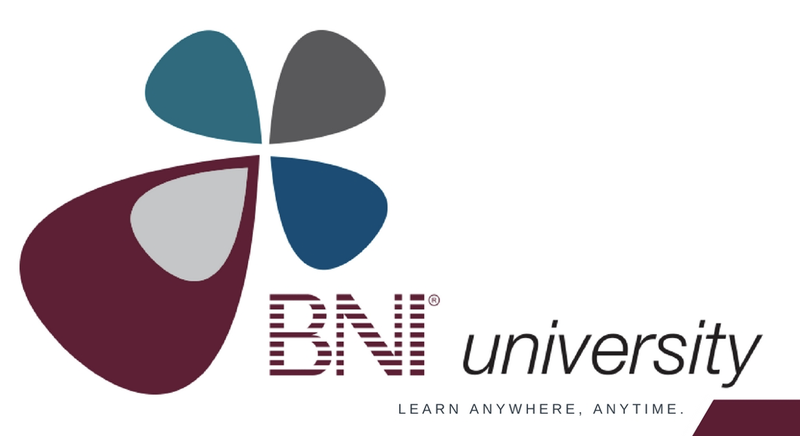 First, what is BNI University? BNI University is a new online training program where you will have easy access to all of BNI's education and training content, in one single platform - SO you can LEARN ANYWHERE, ANYTIME! I mention this because the question has been raised, specific to training (face-to-face), "Is that available online, or being recorded?" Now the answer, in many cases is YES! 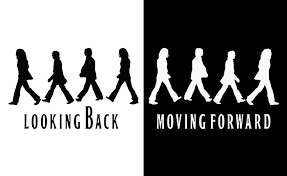 But, again, it has taken time to get to where we are. Much like in business... The day you opened your doors, were you profitable? Some of you, I've heard say, "I am too busy" or "I don't have the time". If you are a new member, I want you to remember that it takes time to build trust, just like it takes time to build everything. If you are a veteran member was your success in BNI overnight? For most, the answer is probably not. My final excitement, regarding change, is the NEW websites and marketing automation! First, www.bniheartland.com and all our chapter websites (ie: www.bniheartland.com/<yourchaptername> just went through a MAJOR update. A new look and feel, similar to bni.com, and mobile responsiveness. Check out the new pages on your computer, your tablet, or your phone. They all have the same look and feel! Plus, as of April 2nd, we will have marketing automation, called BNI Engage, built into our websites and bniconnect. Entering visitors before the meeting, and immediately after the meeting is extremely important, now more than ever. So that we can help you grow your referral business! In addition, we should have a fully automated, online application later this year! All these item take time, money, and dedication! My point is simple in everything we do, we have to make investments, time, some, and even other things, and then, at some point, we see return. How long will it take? How much does it cost? What other factors do I need to consider? We do not always have all the answers to that. What we know is that in BNI, we make an investment and with that investment, we make a difference! We are Changing the Way the World Does Business! But it takes time! BNI, started in 1985 known as The Network. It was an idea to help some individuals in Southern California get more referrals for their business. Today, with over 230,000 members ACROSS THE WORLD, it has become so much more. BUT, it took some time, patience, and investment. My challenge to each of you reading this, is to invest just a little more. It is an investment in YOUR business, and watch the BNI dividends compound! In summary, already this year, we've seen the release of BNI University, and it's mobile app. The release of the Networking Scorecard, and many updates to the BNI Connect Mobile App have already been made. The new websites launched and BNI Engage is coming soon... And, we are a mere 3 months in. What else lies ahead in 2018? Only time will tell. We all have 168 hours in a week, be sure to remember BNI is your business, and put an extra bit of time into it, and you will see great returns, but you have to give it time! We are all extremely excited about these incredible updates, and there will be more to come! We are excited that you are part of BNI and continue to live out our Core Values together!! !